Coxhoe Parish Council are delighted to announce that they have recently completed a 10 year lease of the disused Coxhoe Cricket Ground. This is in order to bring it back into community use after lying dormant for 5 years. 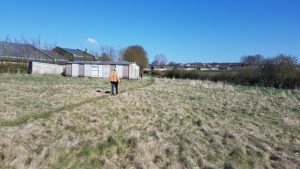 We will be working with East Durham County Council to restore the pavillion and pitch using money that you helped us get from East Durham AAP and that we have matched.